Cloud adoption is gaining prominence as more and more organizations are embracing this new technology. Cloud technology is not only helping enterprise IT infrastructures gain business agility but also driving overall IT industry with emergence of innovative cloud service models. In order to understand the term cloud adoption we need to look at the benefits of cloud hosting over traditional hosting. Enterprises are migrating to cloud hosting models from traditional hosting. The major difference between cloud hosting and traditional hosting models is in the basic setup. Traditional hosting services such as shared, VPS, and dedicated hosting use single server to facilitate web operations of clients including data processing and website launching. In contrast, cloud hosting services are offered by leveraging multiple web servers positioned across geographically isolated locations. These servers are networked to form a cluster in order to boost availability of data storage capacity, hardware, CPU power, and bandwidth. Conventionally, organizations have been using managed hosting services provided from offsite premises of host’s data centers. These services consist of a standalone server that is exclusively reserved for a single user who has a choice to select an operating system and control server upgrades, security patching, and backups. Cloud hosting ensures that the users are provided with redundant resources with help of a large pool of underlying servers. This offers enhanced protection against downtimes, hardware failures, or outages encountered in a traditional setup. Cloud hosting also improves availability of resources that can be accessed by using multiple types of devices including smart phones and computers. Enterprises can gain greater efficiency to manage workloads by migrating their email, data, applications, and software to cloud from traditional hosting. Cloud based services and applications can be accessed at anytime and from any location. Website is the most vital factor for any online business activity. Business websites thrive on server uptime. No business can expect excel without an assured uptime and seamless availability of website. Unlike traditional hosting there is no scope for a single point failure in cloud hosting that leverages a unified network of multiple web servers to facilitate assured availability of web operations. Users can improve their services by adopting the latest technologies such as web based and user friendly cloud control panels to integrate and customize software applications as per customer needs. 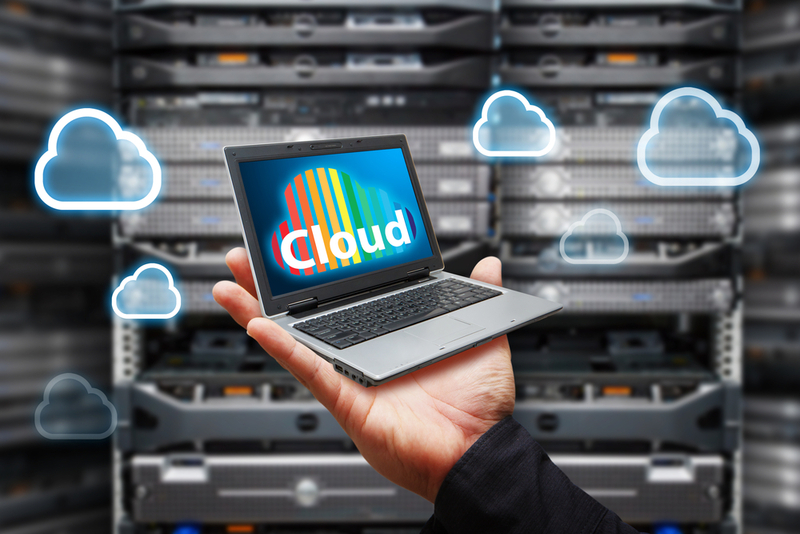 Cloud hosting facilitates server upgrades and deployment of the latest software to add value to their services. They can enjoy improved ability to control resource availability. Website performance depends on seamless availability of resources including RAM, bandwidth, disk storage, and CPU power. In a traditional hosting environment resource scaling is one of the major factors that affect website performance. Cloud hosting ensures instant allocation of these resources during peak hours. Users can also scale down the resources as the demand subsides. Organizations can perform with greater efficiency due to high availability of cloud applications. Employees can access these applications anytime and from any place or device. This imparts greater efficiency to handle workloads and streamlines business processes for more agility. Due to greater access and improved availability there is a better collaboration among multiple divisions and business locations of a single organization. Cloud applications are designed to be deployed instantly. This reduces delays in product campaigns, new product launches and provides real time insights into customer behavior patterns and their buying habits with help of cutting edge cloud analytics. Organizations can be more competitive with greater availability of market information. With a better customer oriented approach, enterprises can enhance customer satisfaction and improve returns on investment. Security of business critical data is an important consideration. With availability of interconnected storage resources, cloud services can ensure data integrity and improve disaster recovery and data backup. Cloud empowers organizations to control costs due to utility based billing methods of cloud services. Unlike traditional hosting they need not pay for additional resources that may not be required. Consolidation of enterprise IT infrastructure can offer ease of operations in IT departments that can leverage virtualization technologies such as server and desktop virtualization. There are three service delivery models of cloud computing including public cloud, private cloud and hybrid cloud services. Organizations can leverage private cloud services for managing their internal workloads. Large corporate organizations prefer these services to manage mission critical data, storage and applications. Public cloud services are ideal for external applications that are focused at managing peripheral workloads. Hybrid cloud solutions are combinations of these two service models. By integrating public and private clouds organizations can effectively implement comprehensive management internal workloads and external services. Cloud hosting platform offers better prospects to organizations that are looking forward to expand their reach. Cloud adoption imparts cutting edge abilities to organizations at economical costs for higher returns on investment. These solutions are being extensively used by small and medium sized organizations to acquire high end capabilities without need for huge upfront investment in terms of hardware equipment and on site IT infrastructure.